The LED-TDR project has replaced the ancient AALLED Axis since November 23, 2009, day when it was officially launched at the DDL Laboratory. 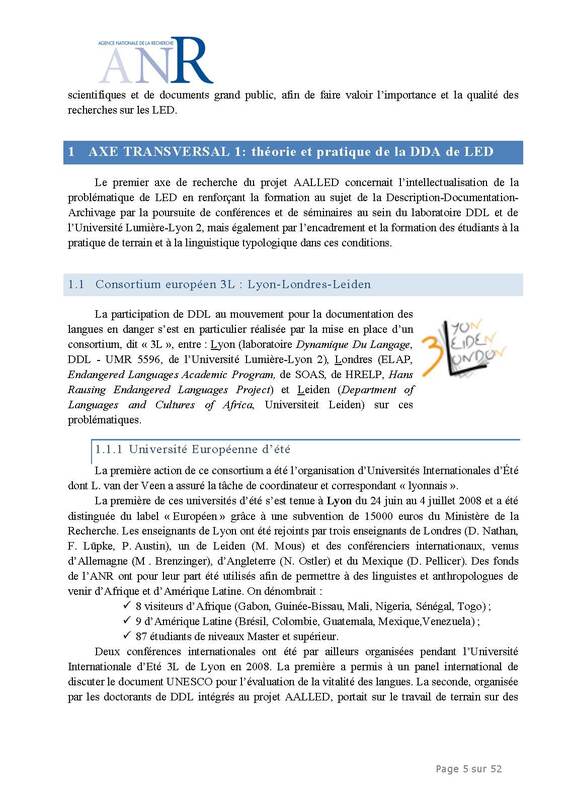 To see the activities already achieved by the endangered languages problematic, visit AALLED (in French). For further information about the research conducted during this period, see the final report of the project by clicking on the document aside.